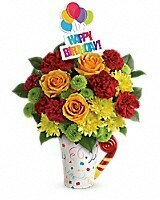 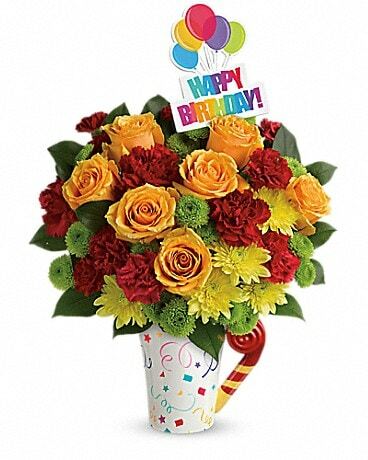 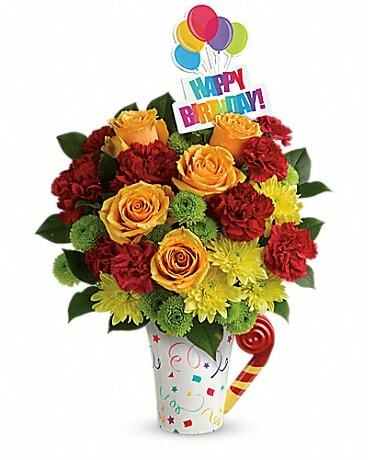 Send a celebration someone's way with this colorful bouquet, hand-delivered on a special day in a charmingly festive mug. 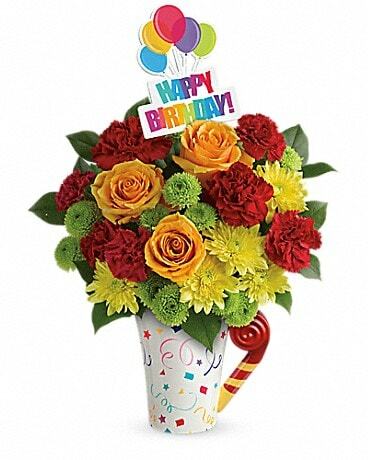 Two gifts in one, they'll love the lush array of roses, carnations and mums just as much as the food-safe mug that's sure to be a favorite for morning coffee and afternoon tea! 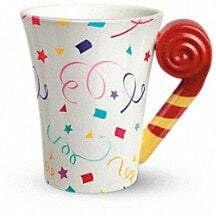 This cheerful mug, decorated with a colorful motif of stars and streamers, is designed to brighten birthdays for years to come.